The school year can be difficult for some children, especially if they prefer to play. The years which require a child to study and/or do homework can be hard. When a child falls behind, oftentimes a tutor is required.What happens in those tutoring sessions? In years past, some tutors would often sit and do book work. One-on-one attention is an excellent learning environment, but some children have difficulty sitting. They prefer to play. Play can easily be brought into a tutoring session to make sessions less stressful and more fun! There are so many math games on the market today and money doesn’t have to be an issue. Thrift stores, especially in metropolitan areas, are full of educational toys and games, which are often found in good to perfect condition. The prices on these items range from $2 to $10, much cheaper than buying new. Many times a regular board game, such as Candy Land (also found in thrift stores), can also be used to brighten up a tutoring session. When something new is needed or wanted, a brand new item purchased ends up being no big deal. The game Chomp is a perfect example. The game comes with beautifully colored marine life cards. 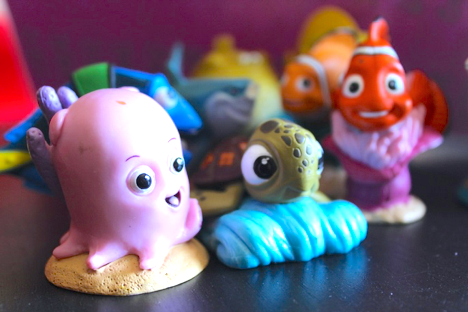 You can pair the Chomp game with figurines from Disney's Finding Nemo. The Chomp cards and the Disney figurines go perfectly together for a nice game of skip counting. Deal three cards to each player. Choose a set of multiples, such as 2’s. A chart of all the multiples are helpful in the beginning. Once a child learns skip counting proficiently, take the chart away. On a player’s turn, a card is played. If a fish card is played, a player chooses a fish figurine. 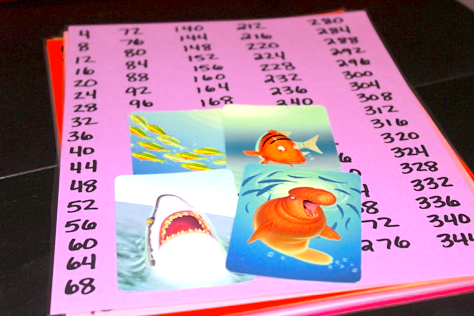 If a shark card is played, a player chooses a shark. As the cards are played and the figurines chosen, the players are skip counting out loud, e.g., 2, 4, 6, 8, 10. One number is said per turn. For an older child the skip counting can begin at 100, e.g. 100, 102, 104, 106, 108. After all the figurines are chosen, then swapping begins. After each turn, draw to replenish a hand to 3 cards. When all the cards are drawn and played, a point system awards each player points for the figurines collected. For example, a shark can be +20. A fish can be +10. Each fish can have a different point value. The player with the most points, wins. 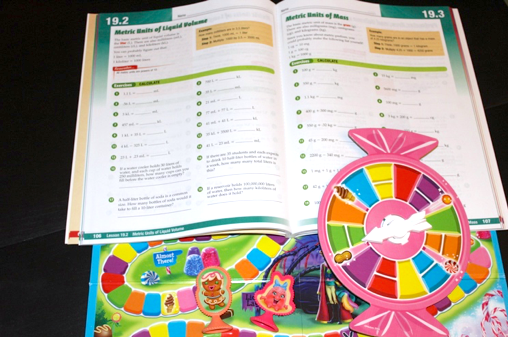 A regular game of Candy Lane, or any other game, can be used to brighten up a child’s worksheet. As a child works a problem, turns can be taken on a board game. Any board game with a track will work, e.g., Chutes and Ladders, Sorry, Aggravation. The junior versions of board games are also perfect for worksheets, because those games play fast (meaning the entirety of the game only takes 15-20 minutes to play), the rules are quick and easy to learn, the game itself requires little thinking skills, and the competition of a simple game is fun. The goal is to improve subject skills. A distracting game is not the goal. These games can also be found in really good condition in thrift stores. If a new game is desired, these games are less expensive in stores such as Wal-Mart or Target. Lastly, there are academic subject games available. 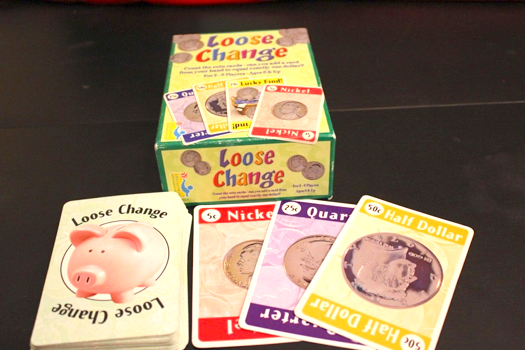 For math, there are games such as Loose Change, a super fun money counting game, available. For this game, each player is dealt 4 cards. One player begins by playing a card in the middle. Draw to replenish a hand after each turn. As each subsequent player places a card in the center, money is counted, e.g., 5 cents, 30 cents, 50 cents. The goal is to equal exactly a dollar. If a player is forced to go over a dollar, the pile is taken and counts negative for that player at the end of a game. If a player plays a card to equal exactly a dollar, the pile is taken and counts positive for that player at the end of the game. Once again, this game can be found in a thrift store or new online. There are so many ways to make tutoring sessions lively and exciting for children. When happiness is a part of a tutoring session, learning happens, academic skills are improved, and lifelong learners are born. The goal is to solve an academic challenge for the moment and to create lifelong learners who are confident, happy, and competent for the future. Becky Hill lives in Garden Grove, California with her husband of 28 years, her three children, and her dog, Leah. 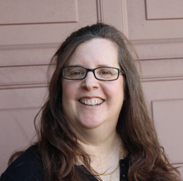 Originally from Arkansas, Becky graduated from Ouachita Baptist University in 1990 with a Bachelor of Arts degree. Becky also completed a Biblical Studies Certificate from Trinity Evangelical Divinity School in Deerfield, Illinois in 1993. Becky unexpectedly became a homeschooler 13 years ago. She successfully homeschooled one son into a university 2 years ago. She is still homeschooling one child. Through homeschooling, she reignited a love for mathematics. She has a passion for learning (especially mathematics) and passing on that love through tutoring, She has also been tutoring for the last 10 years. In her spare time, she loves spending time with her family, playing logic games, playing board games, working through math textbooks, reading, and exploring hiking trails.